Here are some emergency items that are good to have on hand. You never know when you're going to need them! Be sure to check expiration dates if they have one. Cold pack. Dogs are more likely to pull a tendon or get a sprain than wound themselves. Keep a couple of cold packs (packs that become cold compresses after you you break or crush them) on hand. Liquid bandage. Liquid bandage is great for torn skin, grooming accidents, skin tears or a dog that wore off a pad. The liquid bandage may sting going on, but it provides excellent pain relief. Hydrogen peroxide. Hydrogen peroxide works very well for making most dogs throw up. If you suspect your dog just snagged a pill off the hotel carpet, for instance, make it throw up. 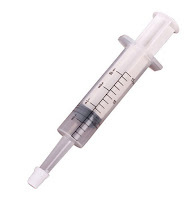 Ask your veterinarian for a plastic syringe to safely deliver the peroxide. A teaspoon works for most small dogs; a larger dog may need a tablespoon or more. After giving the peroxide, walk your dog around to help stimulate vomiting. One major advantage peroxide has over ipecac is that with peroxide, the vomiting stops fairly quickly so your dog should be fine to show in a half hour or so. Check the expiration date on your bottle of peroxide and replace the bottle yearly. Chlorhexidine or betadine. Don’t use hydrogen peroxide to flush out a wound; the peroxide will kill some of the healthy cells. Instead, use solutions of chlorhexidine or betadine. Artificial tears. Artificial tears effectively flush out dust and pollen from your dog’s eyes. Artificial tears can also be used as an excellent solution to flush out a wound. Stick to plain artificial tears. Some of the additives such as “anti red eye” aren’t needed and may disguise a true eye ailment. Tweezers, scissors and a magnifying glass. Keep a good set of tweezers on hand to remove splinters, thorns and insect stingers. (A small pair of scissors can be handy but you probably already have a set in your grooming box.) Use a small magnifying glass (available at toy stores) to find stingers or small thorns, pieces of cut glass and other debris. A rectal or ear thermometer. Keep track of your dog’s temperature if it experiences heatstroke. A tube of antibiotic ointment and a tube of steroid ointment. You can use these for you and your dog. Apply the antibiotic on a fresh wound and the steroid on a red, inflamed area like a bug bite or small hot spot. Foot powder. Foot powder tends to be anti-inflammatory, antibacterial and antifungal, and it tastes bad. If your dog is licking its feet, sprinkle the powder between its toes for a short-term cure. You can also apply it to small hotspots. Antihistamines like diphenhydramine or Benadryl. If a bee stings your dog, you may need to give it some antihistamine right away. Check with your veterinarian for the correct dose for your dog. Antihistamines treat other allergic reactions as well. If your dog is known to have severe bee allergies, ask your veterinarian about an epinephrine autoinjector for safe, immediate treatment. Treatments for diarrhea. 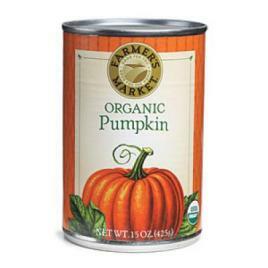 Canned plain pumpkin will help and is very safe to feed. Talk to your veterinarian about using medications such as Imodium, but be aware that multi-drug resistance (MDR 1) dogs may have problems with this. Some use metronidazole (Flagyl) instead. Discuss dosage with your veterinarian and ask her to dispense a small amount for your kit. Medication for chronic conditions. If you experience recurring problems such as ear infections, keep extra meds with you in case of a flare-up. In addition, ask your veterinarian for a short medical history in case you need to visit a vet clinic far from home. Antihistamines can act to help calm a stressed dog. If your dog experiences anxiety during storms, get out a Thunder shirt and add some antihistamine medication to your dog’s “storm routine.” Melatonin may help as well. A number of aromatherapies, such as Canine Calm by Earth Heart, will also settle a dog. As in any pantry there are staples that are called upon from time to time. So it is with my dog / puppy pantry. These are the foods that I keep on hand so as to be prepared for almost any situation. They will come in most handy when you are feeling at a loss for what to do when your dog or puppy won't eat, is sick or won't drink. 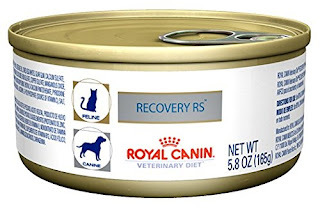 Recovery RS - this was recommended by my vet for a sick dog who wouldn't eat. She had lost weight and I was worried sick. This was a miracle! Warm it a bit so that they can smell it and it entices them. You can buy it at Amazon. 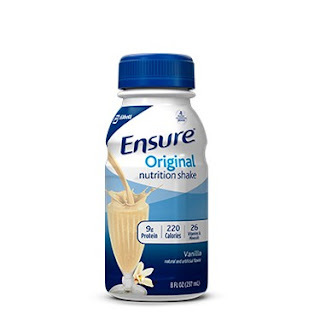 Ensure - Vanilla- I feed this to my dogs who won't eat for any reason. It's sweet so they really love it. I feed it to them with a syringe. This is not for long term feeding but it has a lot of calories and will get them going quickly. It's great do prevent hypoglycemia and it works fast. You can get a feeding syringe (that I highly recommend) from Amazon. 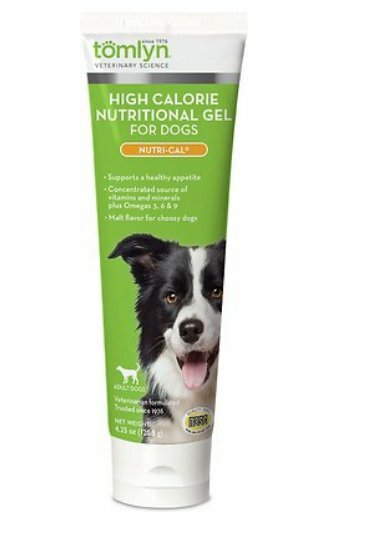 Nutrical - this is a High Calorie Nutritional Supplement for Puppies. The standard for a high energy nutritional supplement. Provides appetite stimulation. Concentrated sources of vitamins and minerals. Highly palatable with an irresistible taste your pet will love! I keep some in my travel bag, in the house, car, or wherever I take my puppies a lot. This is one product I won't be without! A little bit licked off your finger will prevent hypoglycemia until you can get to their regular food. 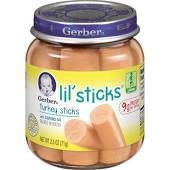 Baby Food - If they are hungry but won't eat their food yet I give them some of these. I don't give it to them whole or even in cut pieces because they can choke if swallowed whole. Press the pieces with your finger, they fall apart easily. I don't use this for a long period of time but they work in getting them back on their food. 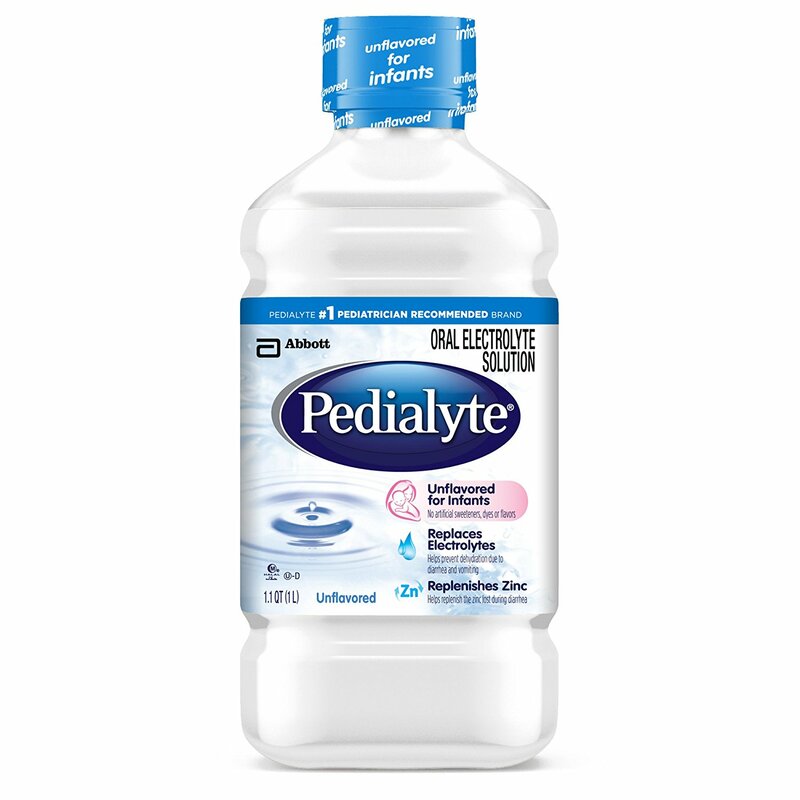 Pedialyte - this is a must have staple! 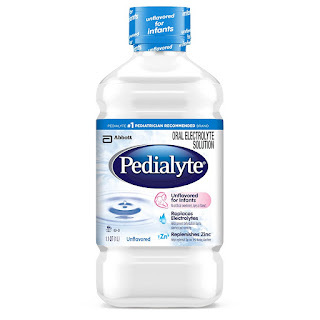 Use if they get overheated as it has all the electrolytes in it. You will probably have to feed it to them with a syringe. Be sure to buy the plain type - not with flavors. This is good after surgery or anytime when you want to replace fluids. 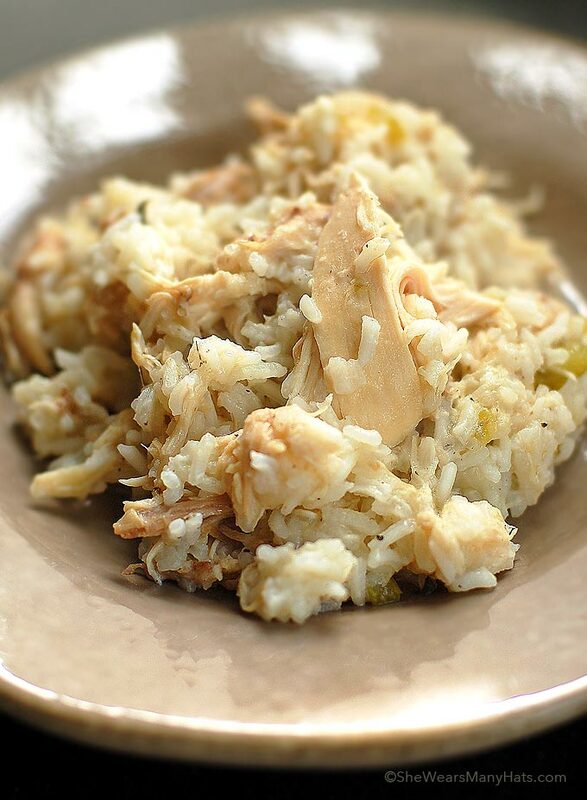 Chicken & rice - this is the best comfort food. They will usually eat this when all else failed. 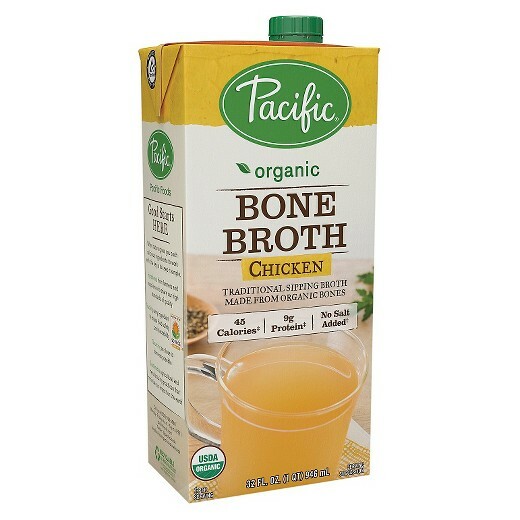 Be sure to take ALL bones out of it and keep the broth. You can give that to them now or freeze it for later (after the fat has been removed). 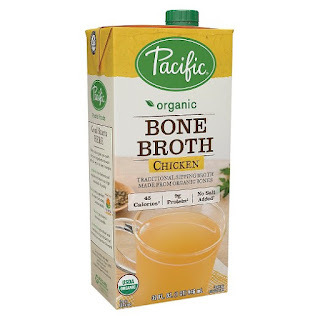 Bone Broth - bone broth is high in protein and rich in minerals that support the immune system and contains healing compounds like collagen, glutamine, glycine and proline. The collagen in bone broth heals your gut lining and reduces intestinal inflammation. It's easy to digest and mixes well with kibble to make it easier to eat. 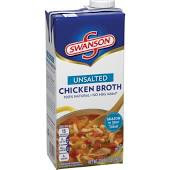 Chicken broth - this is another great way to get high nutritious fluid into your little one. They love it and as a bonus it has protein! Be sure to get no salt organic. 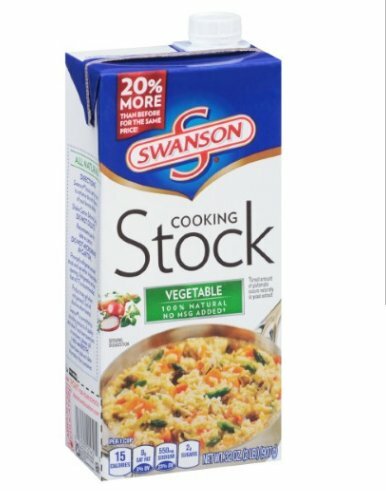 Vegetable stock - this is another option in order to get fluid in if all else fails. It's also a great way to even out their diet if they aren't eating their vegetables. Be sure to get no sodium (salt) and organic. 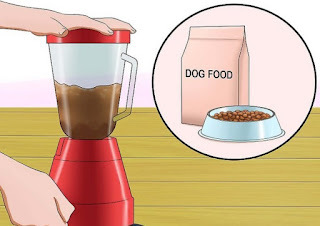 Watery food mixture - this is a great way to easy them back onto their regular food (if you feed them dry food). You can add broth, cottage cheese, a little sunflower oil, even maple syrup to boost it and then slowly remove the ingredients till they are back on their dry food. 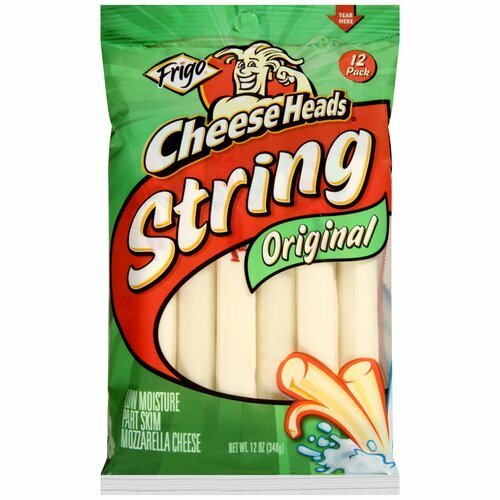 String cheese - this is what I give my dogs as treats. It's high in protein and they love it. Remember, moderation in everything. 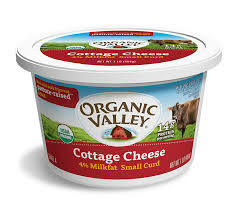 Cottage Cheese - this is an easy to digest food that is high in calcium and protein. Pumpkin - Good for both diarrhea and constipation, canned pumpkin (not raw, not the sugary, spicy pie filling) is loaded with fiber and beta-carotene, which the body converts to vitamin A. Don't give a lot of, too much A is highly toxic to dog but a couple of teaspoons a day for little pups, or a couple of tablespoons for a larger dog till symptoms stop. With these items on hand you can feel confident that whatever comes up you are ready and able to care for your puppy or dog. I know that there are those who use raw diets but I don't so I can't advise on that topic. This is a simply amazing and genius post. First Aid is something you hope you never have to use, but when you need it, you need to know NOW! Thanks to Sally we can all assemble a well stocked medicine cabinet/first aid kit. Sally always goes above and beyond with her posts and this is no exception. Instead of just telling you here's what to use, she also gives a great explanation about why to use it and why not to use something else. The information you get from Sally is all about building your confidence and intuition, so you rely on her less and yourself more as your baby gets older.